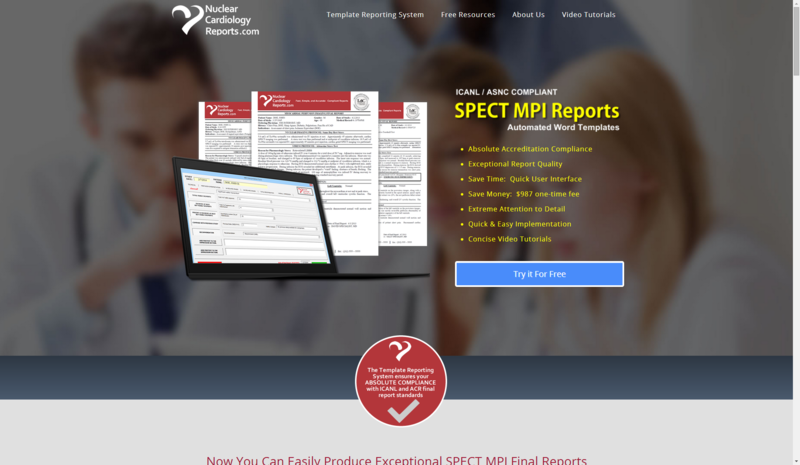 The business owner of NuclearCardiologyReports.com has some really great products and needed a modern site that reflected the quality of his product. Jim McGee designed and developed his original website and decided it was time for a design reboot. He found me through a customer spotlight article that I was featured in on the Elegant Themes blog. You can read about that here. So he contacted me to help him re-design his new website using the already installed Divi 2.0 platform from Elegant Themes. He had already put together most of the content but just needed a new modern look and feel to help improve conversions. He also needed a better mobile layout as most of his viewers were using mobile devices rather than PC’s. Jim has an eye for layout and enough technical expertise to contribute greatly to the re-design making this project one of the most collaborative projects to date. These are some of the features of the newly re-designed site. Improved “Ghost Style” landing page with all the basics just above the fold and a summary of product details below. Improved homepage layout that tells the reader a story about the product. New color schemes that help brand the website after the product and the whitepapers. Creating Divi template pages the owner could use to easily replicate any of the pages. Improved product graphics for a better visual of the product throughout the website. Provide additional consultation on design, plug-ins, Divi 2.0 theme options and other technical aspects of the WordPress site. 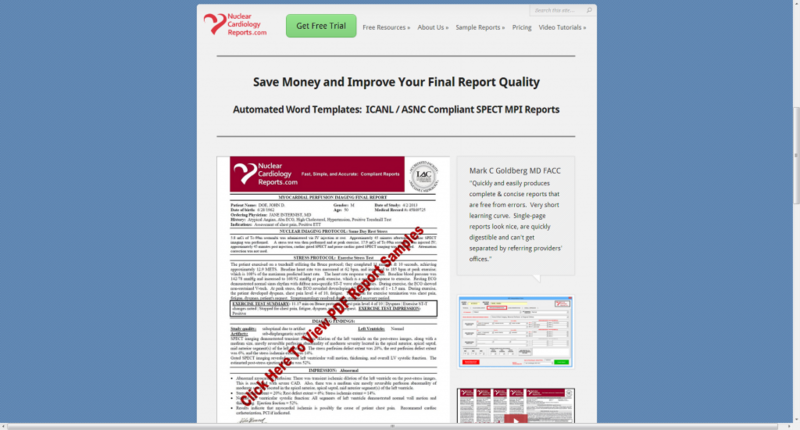 “Geno recently redesigned my website, NuclearCardiologyReports.com. From the moment we first spoke, Geno impressed me as knowledgeable, friendly, easy to work with and eager to please. Throughout the project his friendliness, responsiveness and professionalism were exceptional. Throughout the redesign process, I had many specific requests and Geno was always willing to do whatever it took so that my goals could be accomplished. He went far above and beyond the requirements in many ways.